Check for any firmware updates and make sure Mac OS X is up to date. Consult system.log for possible shutdown error codes using Console (in Utilities folder). Normal behavior... power button was pressed for more than four seconds to force shutdown. Low battery; try charging battery. Test thermistor cable at heatsink for improper seating or damage. Replace heatsink. Reseat RAM and test again. 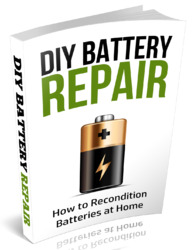 Make sure a known-good fully charged battery is fully inserted. Check that the battery connector and sleep switch is fully engaged and is not broken or getting caught before fully catching. Check battery connection to logic board. Make a visual inspection of the battery connector in the battery bay. The battery connector should allow for some play to align to the battery terminals. Make sure all blades are visible and not bent. If damaged, replace the battery connector. Make sure the system is not overheating, the air vents are clear and the unit was not used on a soft surface. Check that the fan cable is securely connected and the fan is operational. Remove the battery and connect a known-good 60W power adapter and power cord or plug to a known-good power source. If the DC plug is properly seated, the LED should light up. If not, consult the "MagSafe power adapter" symptom. Verify that the thermistor connector at the heatsink is well seated to the logic board and that there is no damage to the cable. Run ASD diagnostics to determine if any of the thermal sensors are not functioning correctly. Replace any failing sensors. See chart below for correlation between error code and part. Check that the thermal grease between the heatsink and logic board is in contact by unscrewing the logic board screws and gently pulling up on the left side of the board to verify resistance caused by adhesion of the thermal material. If not, reinstall new thermal grease for the logic board and heatsink. More details about the MacBook intermittent shutdown issue is available in Knowledge Base article 304308 "MacBook: Shuts down intermittently"